Tennis star and Seedrs advisor Andy Murray has invested in three early-stage UK businesses. The Seedrs listed companies include Den, Morpher and Landbay. Murray’s Seedrs originated portfolio now stands at over 20 companies, according to the platform. As has been the case in the past, Murray nor Seedrs revealed the amount invested in these companies. Den is described as a “revolutionary” Smart Home system that looks like a normal switch but can reduce costs, alert you if you leave the TV on and provide alerts if someone has been inactive in the house for a period of time. Den has raised over £2.1 million on Seedrs from over 1,170 investors, overfunding to 220%. Morpher is a flat folding helmet perfect for cyclists and other sports enthusiasts who don’t want to carry around a bulky helmet when it’s not in use. Morpher has raised over £685,000 from almost 410 investors on Seedrs. The product was the creation of two times British Inventor of the Year, Jeff Woolf. The new spin on helmets is designed to be easy to transport, great on safety and look good at the same time. Landbay is back on Seedrs once again. The property rental crowdfunding platform has crowdfunded successfully multiple times on Seedrs. Landbay was one of the very first peer-to-peer platforms to be granted full authorisation by the FCA at the end of 2016. Currently Landbay is in the process to private preemption round open only to existing investors. With the Seedrs nominee structure, investors get better protection as they can mitigate dilution risk for smaller investors when future funding rounds occur. 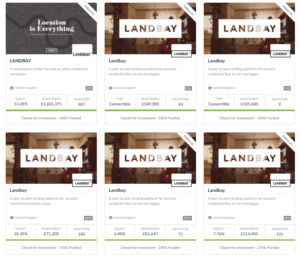 Landbay has raised £2.3 million overfunding to 157% in the round. “Den is exactly the kind of innovative smart technology households around the globe will utilise in the future, and Morpher is a product that the modern cyclist should own – one that has been dutifully perfected by an award winning inventor. Investing in both of these start-ups allows me to continue to build my portfolio whilst diversifying. I also invested in Landbay for a second time, exercising my pre-emption rights. The future for the company looks good and I’m pleased to be able to maintain my shareholding as the company grows,” stated Murray. Den founder Yasser Khattak and Morpher founder Jeffrey Woolf both embraced the participation of Murray. Being able to list a famous name on your shareholder roll can help bring attention to these companies. “As a property investor himself we hoped he’d be impressed by Landbay Turnkey; our new Buy-to-Let investment wrapper that we are launching later this year. Turnkey will offer investors a complete off-the-shelf property investment framework; from a tax efficient financing structure right through to furnishing, letting and management,” added Stern. 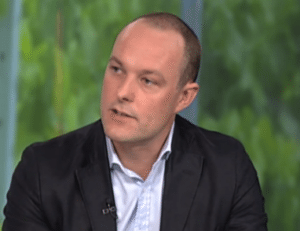 “With our recent announcement of the upcoming launch of the Seedrs Secondary Market, Andy will also be given the opportunity to sell some of his shares and realise returns,” stated Davies. The Secondary Market or “Trading Tuesdays” will allow the Seedrs nominee to buy and sell shares from and to each other the first Tuesday of each month. Additionally, investors in Seedrs-funded companies will have the opportunity to increase their stakes by buying shares from those sellers. The Secondary Market is an example of how the nominee structure may benefit investors. As the nominee, Seedrs is able to manage the entire transaction process from end-to-end, without the company whose shares are being traded needing to get involved with administrative matters. Otherwise, the mechanics of trading shares would be more complicated. This entry was posted in Global, Investment Platforms and Marketplaces, Offerings, Uncategorized and tagged andy murray, den, landbay, morpher, nominee, seedrs, uk, united kingdom. Bookmark the permalink.